During the last two decades Spain has undergone an unprecedented transformation from being a country of emigrants to receiving a significant number of migrants from all around the world. 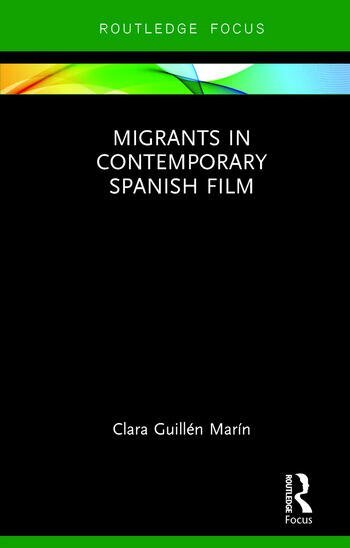 This book focuses on the analysis of documentaries and fiction films representing migrants in Spain in the first decade of the twenty-first century. Guillén Marín explores the ways in which migrant and non-migrant filmmakers reframe the urban and rural space to create opportunities for a free, although contested, exchange between marginal voices and mainstream Spanish society. She analyzes the extent to which the films challenge forms of exclusion and represent ethnicity in a space that includes some and excludes others. Clara Guillén Marín has completed a PhD in the Department of Politics, Languages and International Studies at the University of Bath, UK. Her research and teaching focuses on twentieth-and twenty-first-century Spanish documentary and fiction film, with particular interest on the representation of migration, gender and space. She is currently teaching A Level Spanish in Bristol and volunteers with a charity that supports vulnerable migrants in the city.